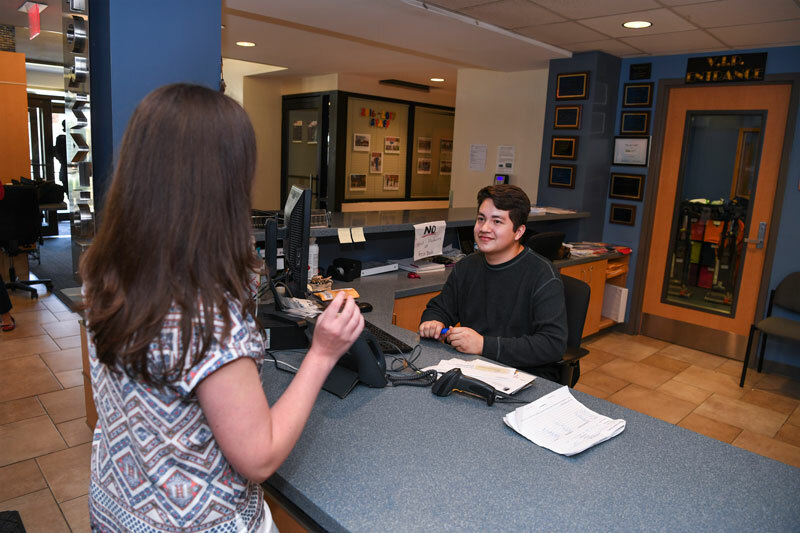 All of our residence halls have full-time professional staff that are here to support you every day of your WVU experience. We are focused on providing you with all the resources, support, and programming to enhance your college experience. Click here to learn about what staff members you will see in each residence hall. ● Our staff strives for each of our residents to be successful at WVU and empower our residents to succeed. ● Residence Hall Coordinators are trained professional educators that live in each hall and work with residents on a daily basis. ● Resident Assistants are student leaders that live in each community and serve as peer mentors for their residents. ● Night Staff employees are another great resource for our students. They assist the live-in staff by securing the residence halls and responding to student needs, policy concerns and emergency situations. You will see them checking identification, staffing the Main Desk, and circulating in and around the residence halls between the hours of 9:00 p.m. and 8:00 a.m.
● Other University offices, such as the Carruth Counseling Center, WellWVU, and the Division of Diversity, Equity and Inclusion support our residents in their time of need and deliver educational programs throughout the year in the residence halls.